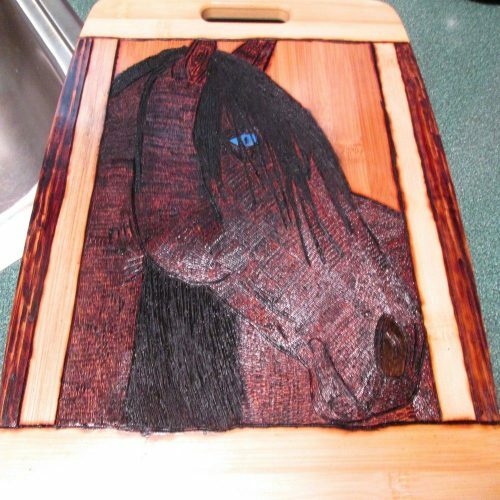 Hand drawn and hand burned Horse with blue eye. Sealed with varnish. Use for decorating and the back side can still be used as a cutting board.